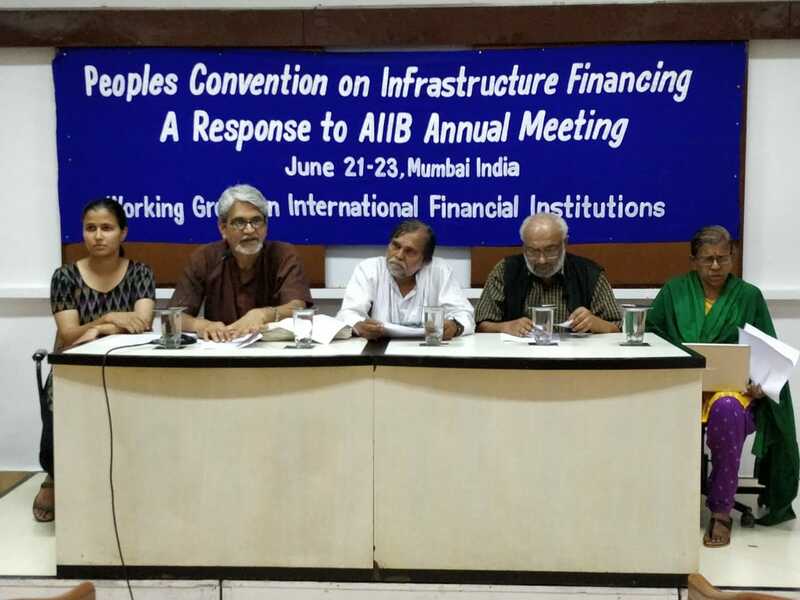 Mumbai, June 23: “The so-called ‘development’ must not come at the cost of constitutional rights,” said prominent activist and Goldman Environment Awardee Prafulla Samantra at the press conference, which was organised on the last day of the three-day Peoples’ Convention on Infrastructure Financing, held prior to the third Annual General Meeting of the Asian Infrastructure Investment Bank (AIIB). Elaborating his argument, Samanthra asked who benefits from these ‘development’ and the bloodshed done in the name of it? He further said that the people do not want this ‘development’ and demanded that the bad loans be recovered from the rich at any cost to spend it on the welfare schemes. Speaking on the occasion, Sreedhar Ramamurthy, International Chair, NGO Forum on Asian Development Bank, said that the Asian Infrastructure Investment Bank, by design, is meant for profit. Despite using words like clean and green in its mission, AIIB has financed heavily into the projects, which are detrimental to the environment. He added that the only word in AIIB’s mission that is true is ‘lean,’ as it has little staff and no accountability policy to safeguard the interests of the people. Sharing the potential impacts of the Sagarmala projects with the media, Jesu Rathnam, Convenor of Coastal Action Network, said that the project, which intends to build massive cargo ports in violation of the Coastal Regulation Zones will displace millions of people and destroy their livelihood. Sanjay MG, Editor of Andolan Magazine, emphasised that irrespective of the country, the money which comes to loot the natural resources of the country, violate human rights is unacceptable to us. Upping the ante he demanded that the AIIB and other international financial institutions must quit India. 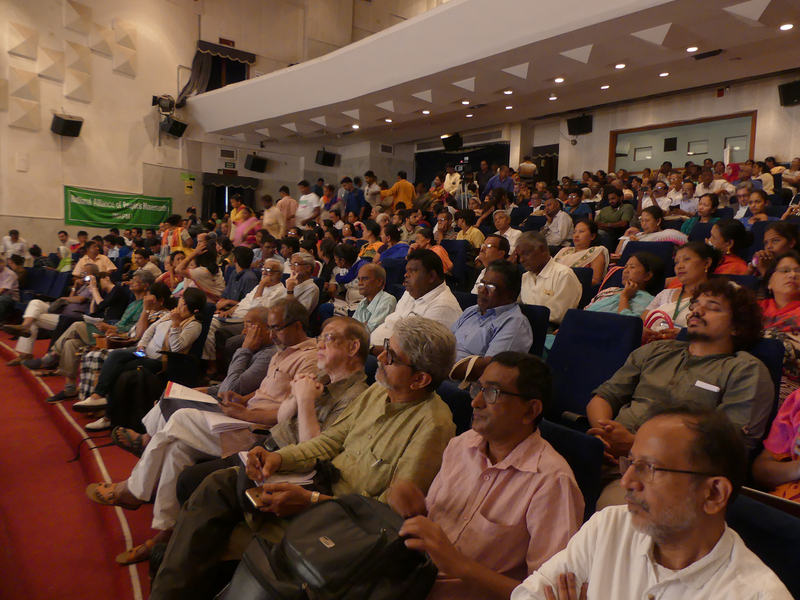 Earlier in the convention, speaking at the inauguration function, eminent economist Professor Arun Kumar, questioned the development model pushed ahead by IFIs in the pretext of ‘development for all’ as their only aim is profit-oriented growth at any cost. He raised the pertinent question of ‘development for whom’.